Cleverly engineered, this contemporary four paneled fabric fixture is cut out on our custom CNC machine. Bottom light diffuser is made of a frosted etched polycarbonate for maximum light output. The 21.5”x9” customized light fixture is easily suspended from several color cord option’s with a 6” brushed nickel canopy. 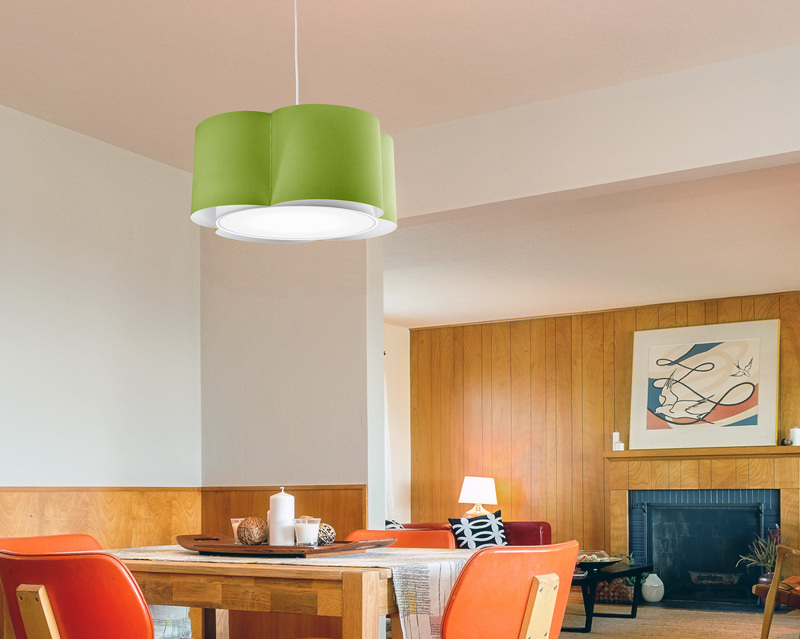 This attractive decorative hanging light has been used in many restaurant and commercial applications. The flutes may be ordered in several different color and texture fabric options. Our three tier light. 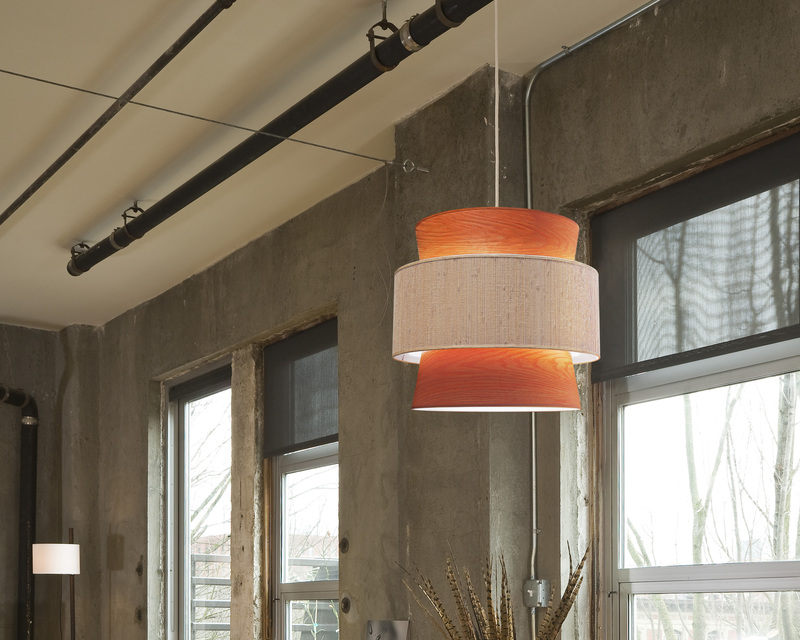 All Seascape’s contemporary light fixtures are made in-house and made to order in hundreds of solid or printed fabric choices which may be ordered in numerous size options. Using different hanging options you may choose from over a dozen color cord choices, solid tubing in three finishes, chain and silver guy wire.